Nathan Ricks has earned over $40 million dollars in the network marketing industry over a period of 20 years. Eric Worre, another superstar, interviewed Nathan at his home in Utah back in 2009. The interview lasted about 40 minutes and I took copious notes. Perhaps the most important lesson Nathan Ricks shared about achieving success in network marketing is you need to have belief, focus and consistency. If you do not honestly believe you can produce the income and lifestyle you want through this incredible vehicle called MLM, you will never reach the pinnacle of success dreams are made of. You need to be 100% settled in your mind, body and spirit that the products you promote, the company you represent and the industry as a whole is not only right for you – it’s right for everyone who desires to step up and create a dynasty. You also need to believe YOU can do it. One way to know if you have the belief necessary to build a wildly successful business is to notice how you feel about approaching the people in your warm market. Are you hesitant or afraid to approach your family, friends, co-workers and people you know in the community? If so, that’s a MAJOR CLUE you… yourself… do not truly believe what you have your hands on is real, honest, integral and the answer to taking back control of your time and finances. If you find yourself insisting you are part of the NFL club (no friends left) and you tend to make excuses versus having conversations in your warm market – do what you need to do to build up your belief. Study the incomes being earned by the top producers in your company. Study the incomes of earners within the industry. Read books, go to events, and make it a point to immerse yourself in the industry. And realize if ANYONE can pull it off, if ANYONE has pulled it off… then you can pull it off as well if you simply have enough belief, focus, and consistency. When Nathan seeks to sponsor a new team member in his business he asks them for a commitment to stay 100% on their new business for a period of at least one year. One year of not getting distracted. One year of taking consistent action. One year of staying focused on the producers on your team. Leaders always reveal themselves, and when Nathan sponsors someone he let’s them know they could never afford to hire him, but I’ll work for you for free as long as you do these things. You’re focused, you’re committed, you call me and check in every day and we’re going to get you to leadership as quickly as possible. And what I want is for you to not even look sideways for a year. Not even one hint of it. You need to be bringing people to him, doing lunch meetings, lunch meetings at your house, and be willing to travel to the group where ever it is developing and chase the business. We are going to chase the business through the lines of people and create dynasties. If you call in three months whining about how hard it is… you will get a dial tone because he doesn’t have time for it. tells every new person he decides to work to call and check in every day. Attend all team conferences calls and company event. And spend 90% of the time they have available to build the business sponsoring and recruiting new team members. Because sponsoring and recruiting is where all the money is made. Nothing else matters. So the primary skill to work on is learning how to make connections, have a conversation, and introduce your opportunity if appropriate. You have to decide you have enough courage to be free. Don’t be afraid. Have faith. You have to believe in yourself. You have to believe it will happen. And sometimes you are doing that against all odds. Against spouses that don’t want it to happen, friends that don’t think it will work, people who have never built a network marketing business but think they know better. Don’t trade your life away. That’s the big risk. You trade your life for a pittance. You rent your body and your brain to someone else…for nothing. For what? So you can start all over in January with nothing? And hope you still have a place to show up to. What’s so great about that? Where’s the security in that? It’s an illusion. The only security is in you. In your head and in your heart. 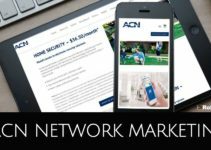 ACN Network Marketing – Can You Make Money? 2 of my favorites with Eric Worre interviewing Nathan Ricks…Wonderful! It is all about belief…Belief in ourselves first and foremost. And belief in our company and products.